TCA Peels are used to improve the skin’s appearance by applying a chemical solution to the skin, causing the top layers of skin to separate and peel off. The new skin is smoother, less wrinkled and may be more even in color. TCA Peels are a skin-resurfacing treatment: it removes dead skin cells, uncovering a “new” layer of skin that appears smoother and more vibrant. As a result, it softens fine lines, minimizes superficial “age” spots and other skin discolorations, and generally improves the tone and texture of your skin. TCA peels are also very popular for diminishing the appearance of acne scars. More than one TCA Peels treatment may be recommended. Treatments are usually spaced 2 to 3 months apart. 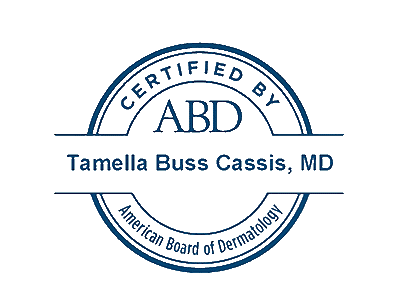 The staff at Cassis Dermatology and Aesthetics Center is trained to perform TCA Peels.